By Claire Robinson | April 2, 2019 | This post may contain affiliate links, which means we may receive a small commission, at no cost to you, if you make a purchase through a link. Read our Disclosure. Despite the lack of palm trees and heat waves, Iceland is becoming one of the hottest destinations for a road trip. And, with a limited number of roads, the main attractions can become crowded especially during summer. To help you plan your road trip around Iceland, here are 5 places to visit in Iceland that are off-the-beaten-path and alternatives to the “classics” of Iceland. When looking for icebergs, everyone stops at Jokulsarlon. It is the place that “puts the ice in Iceland”. Located right next to the main road, the lagoon is always filled with icebergs detaching from the glacier and making their way towards the ocean. Big buses and people touring the Ring Road all stop at this must-see attraction. An alternative is its little brother, Fjallsarlon. Just a 5 min drive from the Ring Road, its lagoon is smaller but rewards the visitor with great views of the glacier and surrounding mountains. Because there is no exit to the ocean, some of the icebergs get really close to the shore allowing you to fave fun around them. No facilities at Fjallsarlon but plenty of space to take a break and listen to the cracking of the ice. Note: as of 2016, facilities are being added at Fjallsarlon. Due to the increasing number of tourists, more locations are sadly being put on the map. 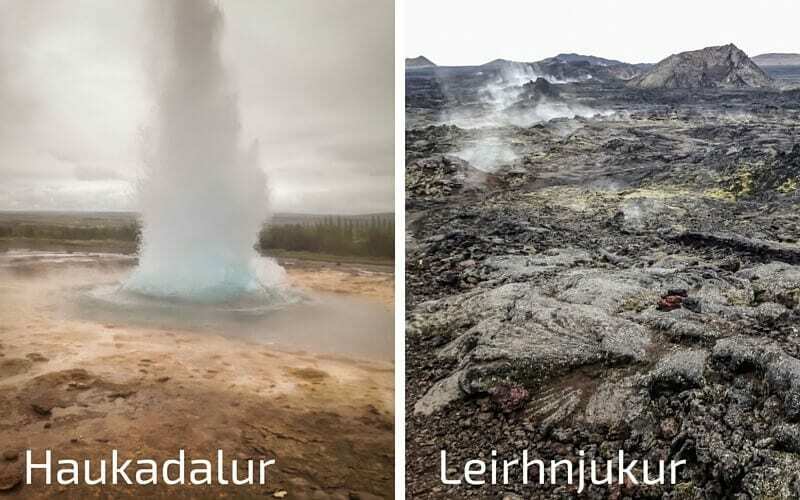 When it comes to geothermal areas, Iceland is paradise. One of the most popular places to visit in Iceland is Haukadalur on the Golden Circle Iceland. 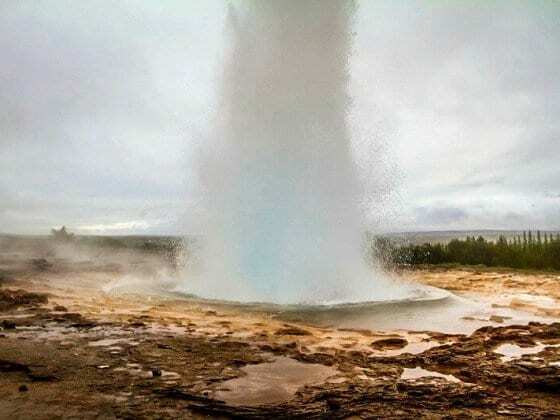 It is home to the famous but dormant Geysir. But the main attraction is the Strokkur geyser, which erupts every 5 to 8 minutes. If you go early you can avoid the crowds shouting ‘ohhh’ and ‘ahhhh’ every time. But during the day it is one of the most crowded places as everyone looks at the same spot waiting for the big splash. But if you go to North Iceland, take a detour to walk through Leirhnjukur. It will give you another perspective of the volcanic activity in Iceland. This lava field is still steaming 30 years after the last volcanic event! Stay on the track if you don’t want your soles to melt and reconnect to the power of the Earth. 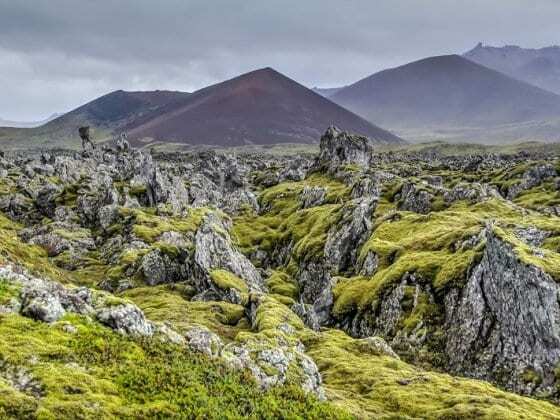 Much of the Icelandic landscape is shaped by lava. 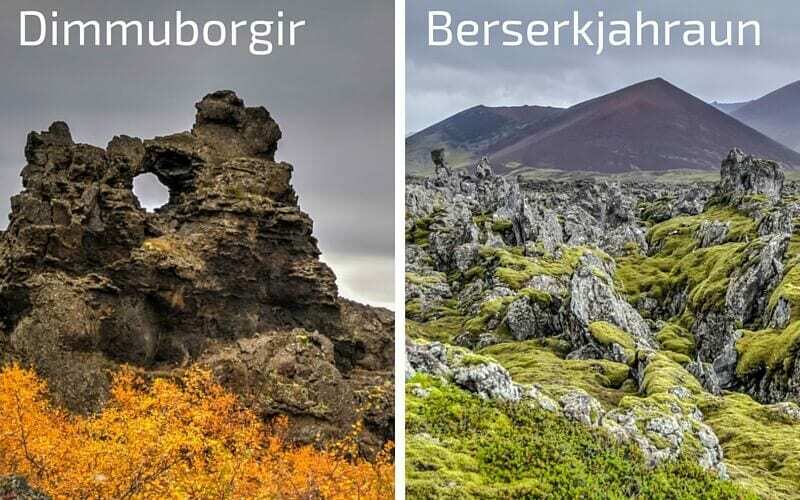 One of the most famous areas to walk through is Dimmuborgir near Myvatn. Created by the mix of water and lava, the formations are said to be the home of elves. During the day, visitors take over the delimited paths scaring the elves away. To avoid the crowds, drive on a small gravel road (558) on the Snaefellesnes peninsula to the lava field of Berserkjahraun. The geology and shapes are different, but the views as impressive. And most visitors stay on the main road and miss it. Even though hiking is required to reach Svartifoss, it is one of the most famous waterfalls in Iceland. Photographers love the amphitheater of basalt columns said to have inspired the architecture of the Reykjavik Cathedral. The little path around it fills up pretty quickly. Another option is to go off road in North Iceland (4WD required for the last 5 kilometers) to discover Aldeyjarfoss, a 20-meter drop waterfall surrounded by intricate basalt shapes. The surrounding area is bare making the location even more intriguing. Swimming in a hot bath is a must-do in Iceland. And most people experience it at the famous Blue Lagoon. A man-made swimming area, filled with the water taken underground to generate electricity. Although not really off the beaten track, the alternative of the Myvatn Baths in North Iceland will give you a more intimate experience. You can find more information about all those destinations on my Iceland Travel Guide. Booking.com has over 1,100 properties in Iceland including hotels, apartments and hostels. You get free cancelation on most rooms and a best price guarantee. Do you try off the beaten path alternatives during your trips? Can you suggest places to visit in Iceland besides the obvious? Plan your trip to Iceland-7 insider road trip tips! Claire is the French Travel Planning Addict behind ZigZag On Earth where she shares her growing collection of destination guides, with detailed location articles and plenty of beautiful photos. Her goal is to help you make the most of your vacation time. She also recently released her first Travel Guide: Experience Iceland. You can follow her discoveries on Pinterest or Facebook. My husband and I much preferred Myvatn to the Blue Lagoon. This was an unplanned stop on our road trip and it was so refreshing. A lot smaller, quieter, and cheaper than the Blue Lagoon. It perked us up and made the rest of our drive so much better. It was such a great unexpected treat. Great article! Iceland is an absolutely fabulous place and one has to admire the incredible performance of their football team at the Euros in France this summer! Such spirit in the country. I was lucky enough to go to Iceland for four days in 2012 and I loved it. Can’t wait to go back! If you haven’t seen Rick Stein’s Long Weekend in Iceland, then I recommend checking it out. It’s on iPlayer in the UK. Hi Alex. I am not a soccer fan but I was really glad to see their team go that far. Thanks for the tip on his episode. I will check it out. I’ve only visited the more touristy stops around Southwest Iceland due to lack of time and lack of research about more off-the-beaten path alternatives. And while I was blown away by the beautiful scenery along the Golden Circle and Southern Coast, I would have loved to visit some of these more remote and unknown destinations. 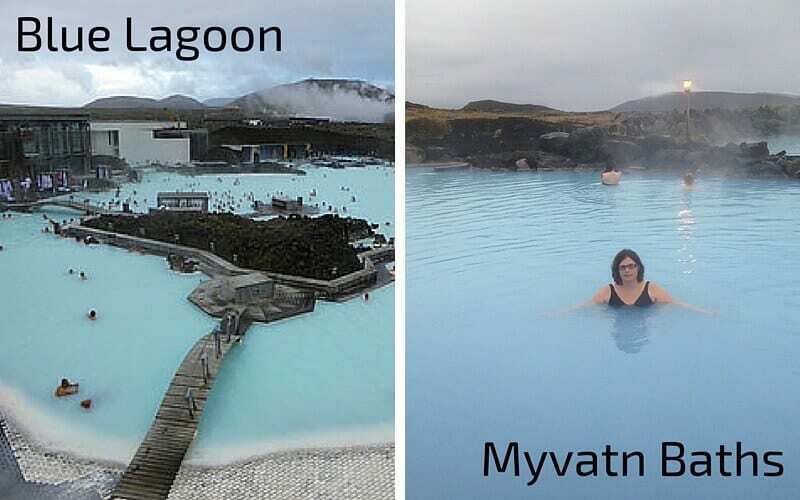 The Myvatn Baths sound like a great alternative to the expensive and crowded Blue Lagoon. Thanks for your comment Erika. It is funny how the Golden Circle is a must do to everyone coming to Iceland but in my opinion, the rest of the country is way more beautiful. I still have not seen a glacier and would love to visit Iceland to see their spectacular scenery. 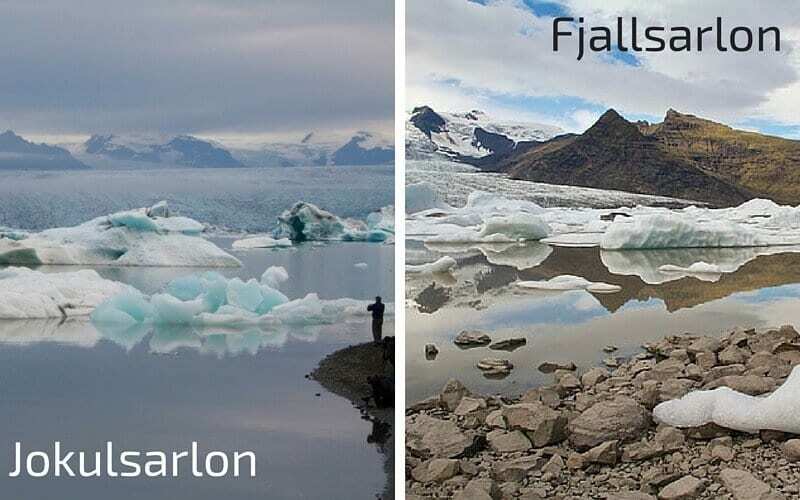 Fjallsarlon sounds like the best option for me; I want to be near the icebergs and have fun! Thank you for the suggestion! Thanks for your comment Cassandra. Jokulsarlon and Fjallsarlon are both amazing places. And if you like icebergs, you can also go to Jokulsarlon Beach to see icebergs on black sand! My pleasure. Have a great trip! I plan to go there next year, thanks for this article ! It’s a good start for taking info. Myvatn Baths looks awesome ! The planning phase is a great part of a trip to Iceland: discovering all the amazing places all around the island. Enjoy! I’m scheduling my trip to Iceland and after seeing their photo galleries I perked up even more and I colcoar into practice my trip, I loved your site. 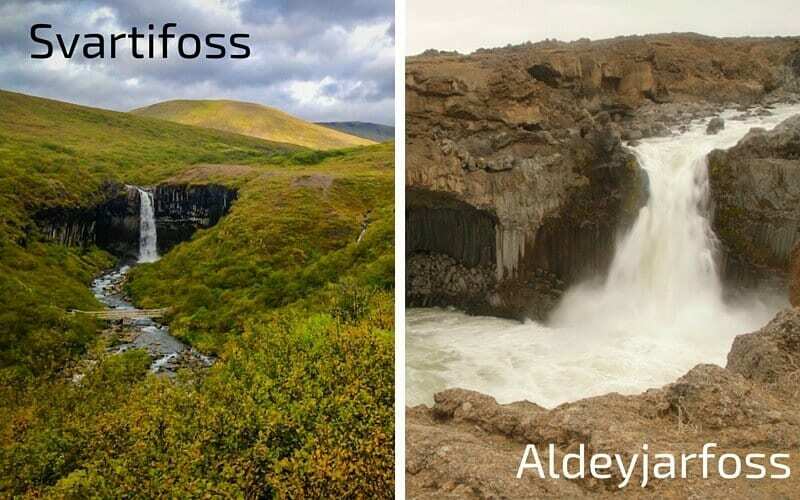 Dang, I wish I had gone to Aldeyjarfoss instead; Svartifoss was my least favourite in the country. Thanks for this article ! I’m planning to go to Iceland in May with my girlfriend ! I can’t wait to discover this country, it looks so awesome ! I’m going to Iceland this summer, and this will be very helpful. Myvatn Baths looks amazing!